The pro wrestler is the latest to make the transition to MMA. 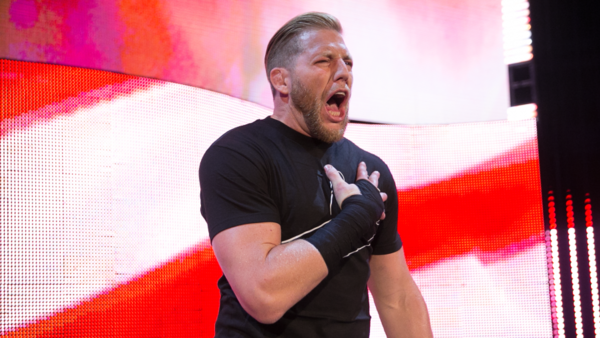 The man best known to WWE fans as Jack Swagger made his first public appearance with his new home this week. Real name Jake Hager, Swagger (who has continued to use the Jack Swagger name in independent wrestling gigs since parting ways with the WWE) appeared at The Forum in Los Angeles as part of Bellator 192's festivities. That card, Bellator's first of 2018, features another man with links to pro wrestling, Quinton 'Rampage' Jackson, in the main event, taking on one of the best on the mic, Chael Sonnen. Jack Swagger, however, was on hand to talk making the switch from the professional wrestling world to the fighting world. Like Brock Lesnar, CM Punk, and Bobby Lashley before him, Swagger will be under close scrutiny. He'll also be sharing an employer with Lashley, who also fights for Bellator. The heavyweight, who has a decorated amateur wrestling background with the University of Oklahoma (where he set a record for pins in a season in the 285lb weight class), knows the change in careers won't be easy. However, he told the media that "I have the background to back it up." Swagger also confirmed that he'll continue to take bookings on the independent circuit, saying that they were paying the bills until he steps into the Bellator cage. As to just when that might be, he told reporters that "I want to fight in 2018 for sure. I almost want to fight twice. That's a bold statement, but I don't want to waste any time." While a WWE fan's dream fight between Lashley and Swagger could be an option down the line, first, the wrestler needs to get a few fights under his belt. He said he's "preparing for anybody right now" and admitted he was expecting a steep learning curve. On incorporating elements of pro wrestling and the entertainment side of the business into MMA, Swagger laughed, saying tables, ladders and chairs probably wouldn't be accepted. However, he followed up by saying that "it's very cool to see the entertainment aspect come out in MMA. Not only MMA, you see it in the NBA, you see it in the NFL now. Everything is going towards a pro wrestling, cut a promo, drive the traffic agenda. It's cool, because it's always been so shunned. I feel like it's going to be a big part of the future." Jake Hager, otherwise known as Jack Swagger, is expected to make his Bellator MMA debut sometime later this year. You can find more of his talk with the media below.